On the 15th October 1998 Mark Radcliffe released his first book (above). I have to say that it is the best and most funny book that I have read for a long time. This review by Ben Raworth that appeared in the November 1998 issue of FHM magazine sums it up nicely. Better known as a Radio One DJ, Radcliffe here reveals his life as a 25-year apprenticeship-serving rockin' wannabe. And very entertaining it is, too. 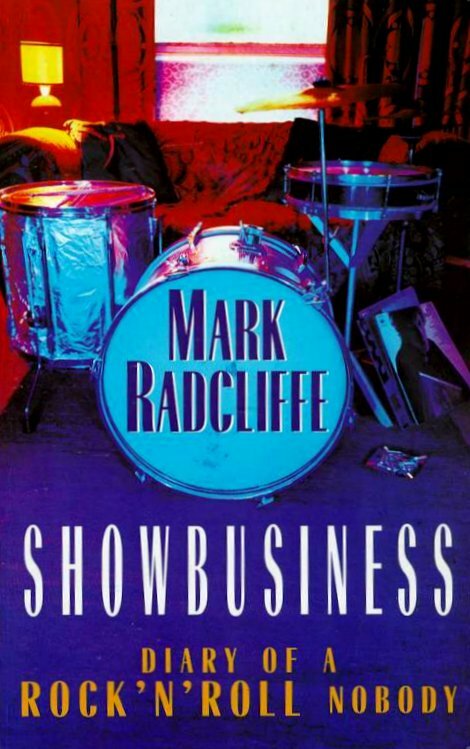 In his early days, Radcliffe had "the biggest drumkit out of anyone at school". Not that this helped him much - after being upstaged by a group in the school year below them, the self-styled "Billy Moon" simply wanted to go home. And so it continues: from his days in the hapless Berlin Airlift to the formation of his twelth group, the Mahones, Radcliffe describes, with wit and charm, the frustration of being in bands going nowhere; and with song titles such as Gravy Down The Legs and I'll Give Her One From You, it's a shame they never added up to much. But the main part of Radcliffe's book is obsession: going to gigs in hopeless old vans, memorising not just the lyrics, but the studio and cover artist of his favorite discs - all the madness is in here. Never ranting, Radcliffe puts across his frustration in both a humourous and a self-deprecating way. You can buy The Diary Of A Rock N Roll Nobody from Amazon. If you do then maybe one day I will get a few pounds out of Amazon! In his first book, Radio 1 DJ Mark Radcliffe recalls his other, less than glittering career- as a failed rock god. From humble beginnings to a humble ending, with quite a few humble bits in the middle, Mark traces his spectacularly unsuccesful part in bands that too often ended in ignominy and frustration. As well as being a hilarious tale of musical disasters, SHOWBUSINESS is the appealing rites-of-passage story of a middle class gramar school boy whose life is transformed when he leaves Bolton for University. retraces the steps that should have taken him to Glastonbury, but which took him to Radio 1 instead. 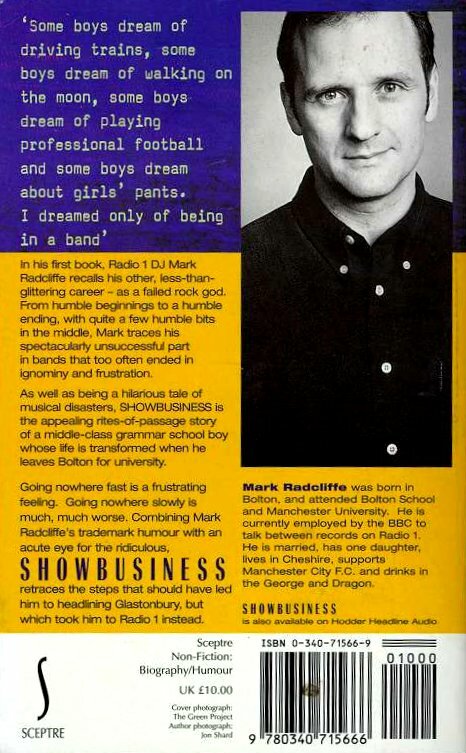 MARK RADCLIFFE was born in Bolton, and attended Bolton School and Manchester University. He is currently employed to talk between records ar Radio 1. He is married, has one daughter, lives in Cheshire, supports Manchester City F.C. and drinks in the George and Dragon. It is published by Sceptre ISBN 0-340-71566-9.